Infinix realized that the next smartphone is S3 that should be built around the silver, which is a modern feature of the smartphone now. Not only did it change the front panel of the Infinix Hot S3 and gave it a long touch screen where the edges of the screen were curved because of the 2.5D curved glass. The screen size of the gadget is 5.65 inches and is placed under Infinix Hot S3 Infinix. The display ratio is 18: 9, where the resolution of the device is 720 x 1440 which gave you a smart look with HD Plus resolution. Infinix’s Hot S3 has a plastic and metal bond that comes in two different colors. The first is Sandstone Black, where the second color in which this phone is painted is Brush Gold. 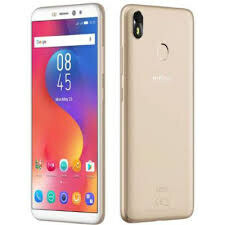 Infinix S3 is trying to look like Samsung, but it still has to do a lot to achieve the kind of perfection that is available in that smartphone brand. The fingerprint reader is an ideal choice for the Infinix Hot S3, which is why it is placed on the back of the device to give you easy access whenever you want to unlock your device using a scanner. Hot S3 of Infinex got a 20-megapixel selfie shooter that holds an f / 2.0 slot to improve image quality by capturing even small details of images. The front camera is made in a way that allows Hot S3 users to click an image even in low light without using LED flash or anything else. The rear camera is 13 megapixels and has features like autofocus and LED light. The Infinix Hot S3 will be launched at 32GB, followed by 3 GB RAM.